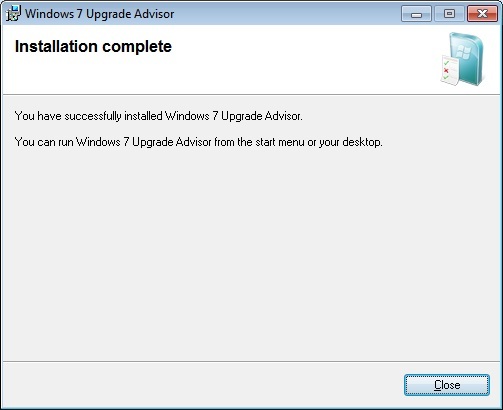 Windows 7 Upgrade Advisor Tool Download, Install and Run. 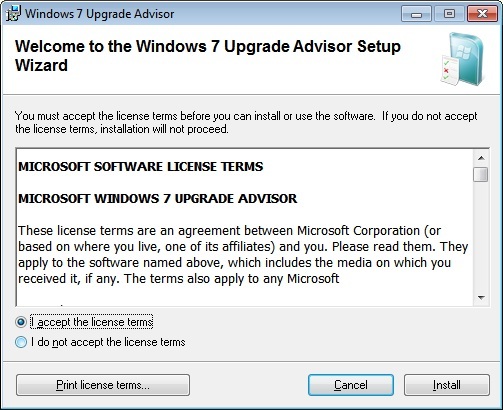 The Windows Upgrade Advisor gives you recommendations on what to do before you upgrade Windows XP and help find potential issues with your computer's devices, hardware, or programs that might affect Windows 7 installation. 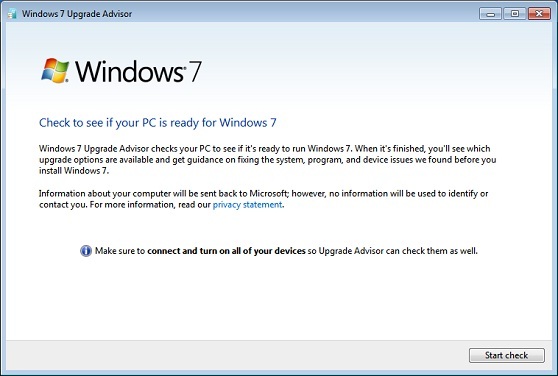 For more information about Upgrade Advisor, see whats Windows 7 Upgrade Advisor? Step 1. 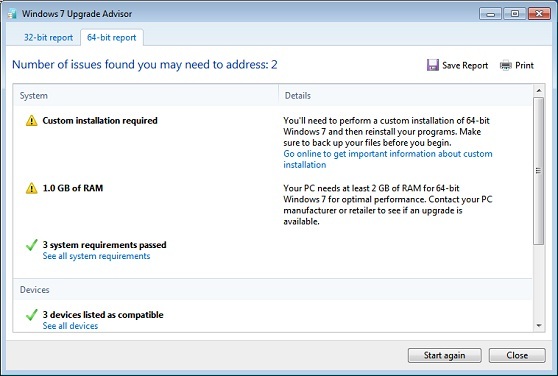 Download Windows Upgrade Advisor from the Windows website. Step 2. On the Microsoft Download center page, Click on Download button. Step 3. Once you click on Download it will launch Download window, click Save button and then save the Upgrade Advisor installation file to your computer. Step 4. 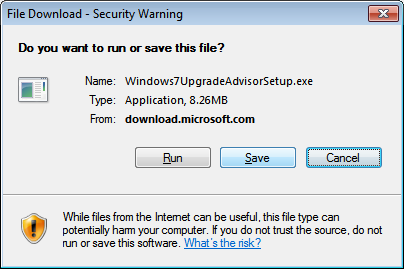 After completing the download, double-click the Windows 7 Upgrade Advisor installation file saved to your computer. Step 5. Accept to the license terms by clicking "I accept the license terms" radio button, and then install it by clicking Install button. Step 6. Click Close button after completing installation. Step 1. Double-click the Windows Upgrade Advisor shortcut on your computer's desktop. Step 2. In the security warning dialog box, Click on Yes button. Step 3. Once you click Start check button, it will start scan your computer's devices, hardware and installed programs. Step 4. Once scan finished, it will bring back you with a compatibility report that you can read it carefully, and make note of any issues that it finds. Step 5. You can print compatibility report for your reference and to follow recommended steps to fix any issues. If you want to save the compatibility report to refer it later, click on Save Report button, type the name in the File Name box, and the click Save button. Step 6. Click Close button when you're done. 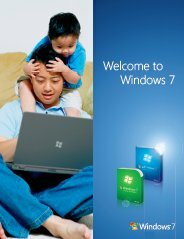 Microsoft recommend to re-run the Windows 7 Upgrade Advisor after making any changes or taking any of the recommended steps to your computer's devices, hardware, or installed software before you upgrading Windows XP to Windows 7. Also, be sure to save your updated compatibility report to refer to it later. Return back to Upgrade Windows XP to Windows 7 page.